MSRP $80,065, Prem. 1-, Driver Assist.- and Appearance Package, AWD, 20 inch Wheels, Blind Spot/Lane Keep Assist, Rear Entertainment System, Distronic Plus with Pre-safe Brake, Panoramic Roof, Keyless Go/Comfort Access, Running Boards, Parktronic, Cooled/Heated Cupholders, DSR, Navigation, Back Up Camera, Dual Power Heated Memory Seats with Lumbar Support, Power Folding Third Row Seating, Power Lift Gate, Power Tilt and Telescoping Wood and Leather Steering Wheel, Harman Kardon Prem. Sound System, 6 CD Changer, Satellite Radio, Ipod Integration Kit, Voice Command and Bluetooth, LUNAR BLUE Metallic, with ALMOND BEIGE/MOCHA Interior, Wood Trim, Ambiance Lighting, Light Up Door Sills, Dual Sun/Moonroof, Power Folding Mirrors, LED Lights. This car is in excellent condition and is under 4 years/50K factory warranty. We take TRADE-INS, offer GREAT FINANCING rates and sell extended warranties. The car is Carfax and Autocheck certified! 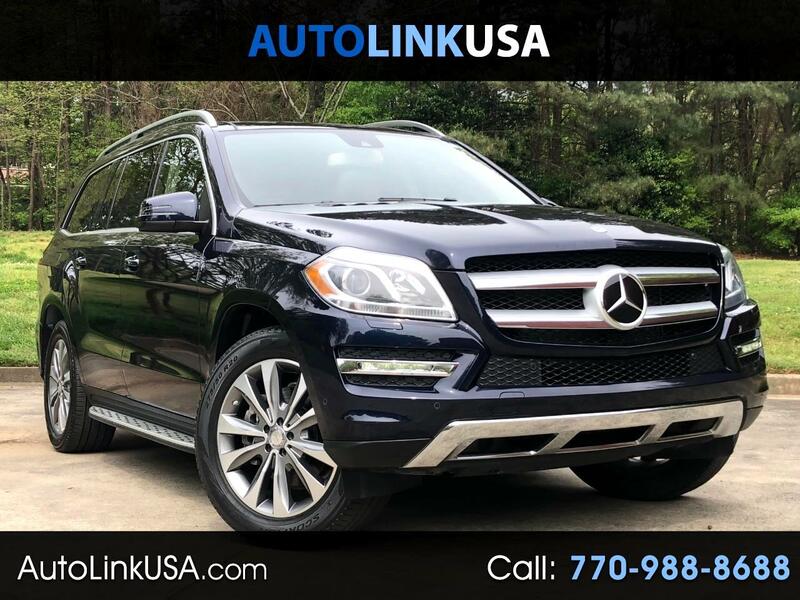 For a FREE report please visit our website http://www.autolinkusa.com, or contact us by phone (770)988-8688, by email info@autolinkusa.com, or text 770-480-1385.